Welcome to Tied In Chains - the home for unique, handmade jewelry featuring various styles of chain, natural fiber, pearls, semi-precious stones, and other mixed media. All pieces are hand-crafted by Lauren Mullaney using a variety of techniques including wire-wrapping, braiding, crocheting, weaving and chain-making. 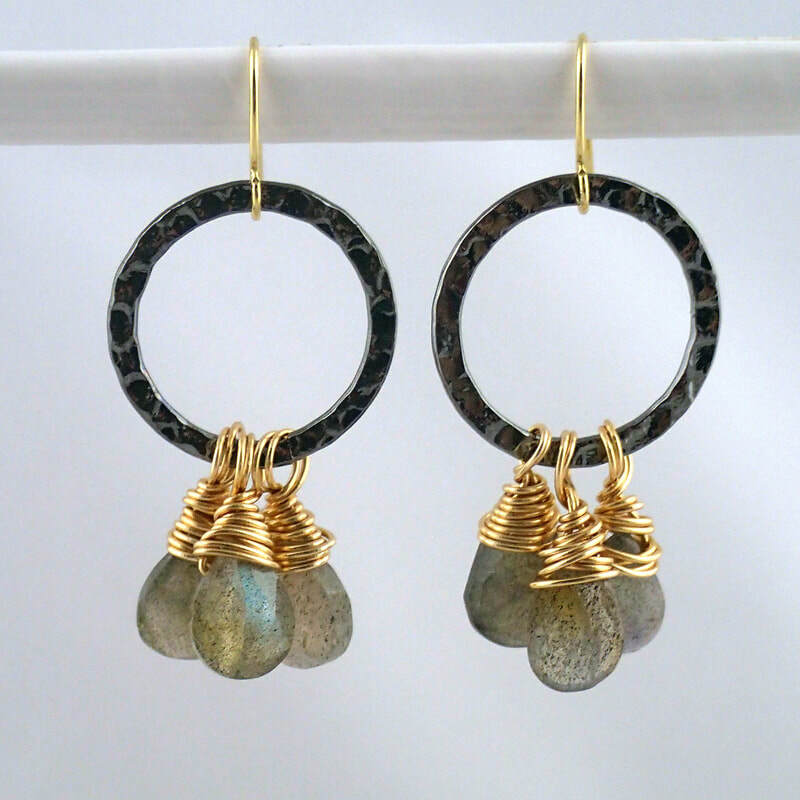 Be sure to check out Lauren's new line of handcrafted sterling silver and Nugold brass jewelry at LMNT Jewelry. 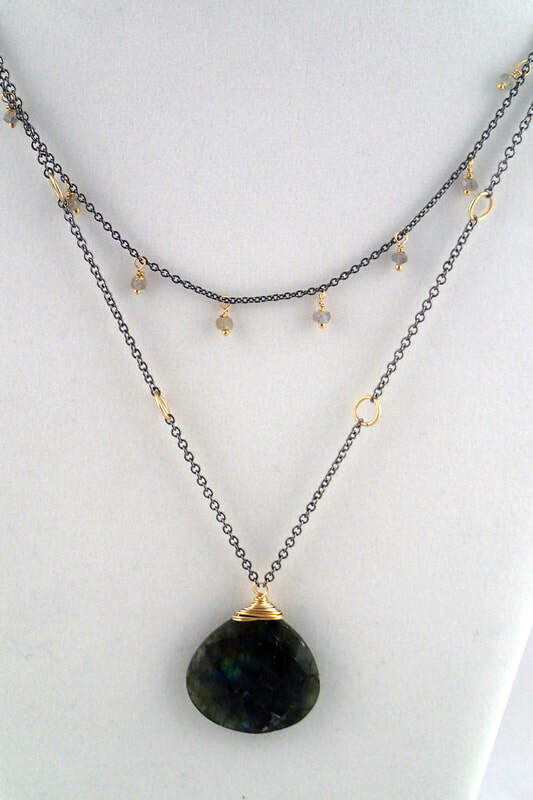 Pictured here is the Labradorite pendant layered with the labradorite teardrop necklace. More is more when it comes to bracelets! 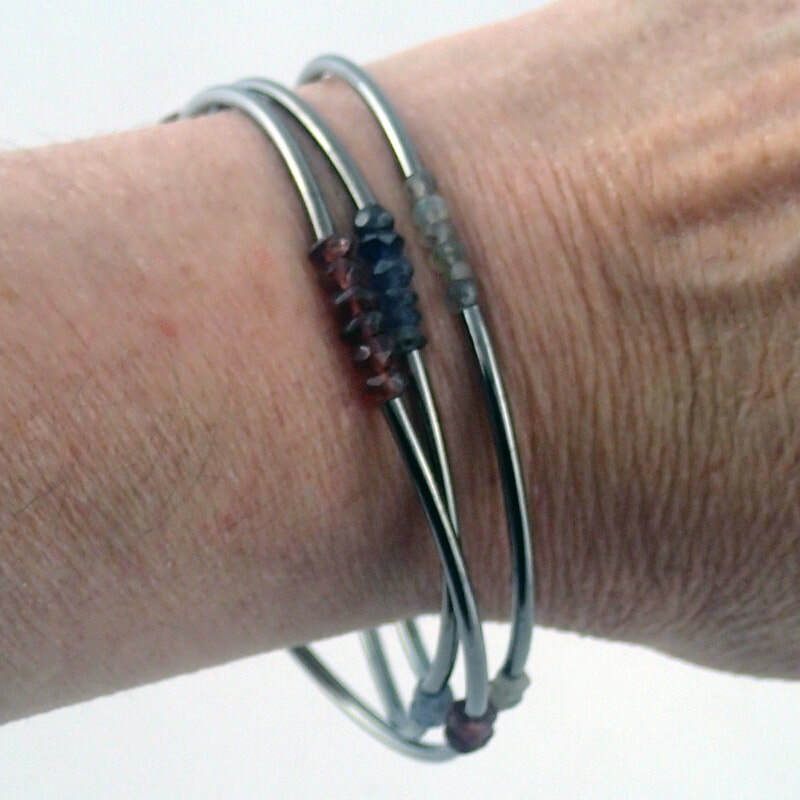 Try stacking on a few on the Four Corners Bracelets.